Irish President Michael D. Higgins says that the Lithuanian community is "very welcome" in Ireland. "Lithuanians who are living in Ireland, they are very welcome. It is a community that is making a very positive contribution not only economically, but also culturally," he told reporters in Vilnius on Tuesday. Official statistics show that about 40,000 Lithuanians live in Ireland, but Lithuanian officials believe that the real number is twice as high. Some schools in Ireland will offer Lithuanian language courses to children aged 12 to 16 years starting next September. 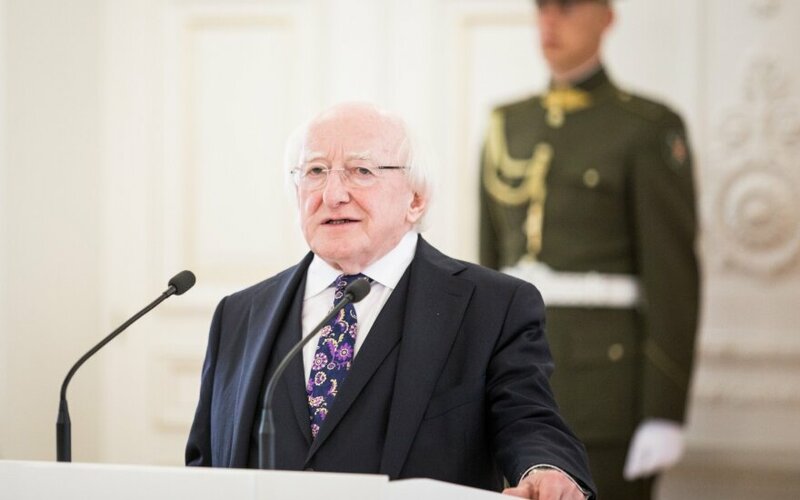 Ireland 's President Michael D. Higgins is coming on a two-day official visit to Lithuania on Tuesday.